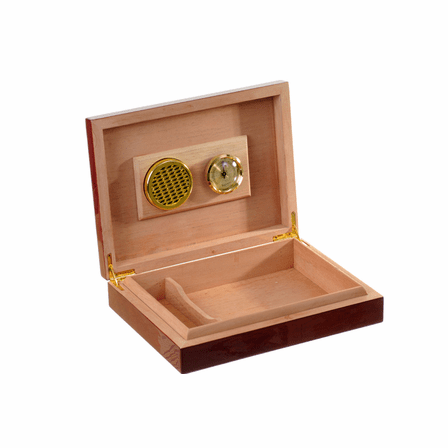 FEATURES/SPECS Our rosewood piano-finish cigar humidor is the perfect size for home or travel! 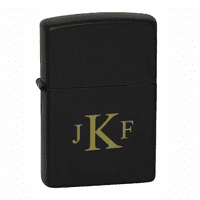 It holds up to 30 of your favorite brand of cigars, and comes complete with hygrometer and humidifier, which are magnetically attached to the inside of the lid! 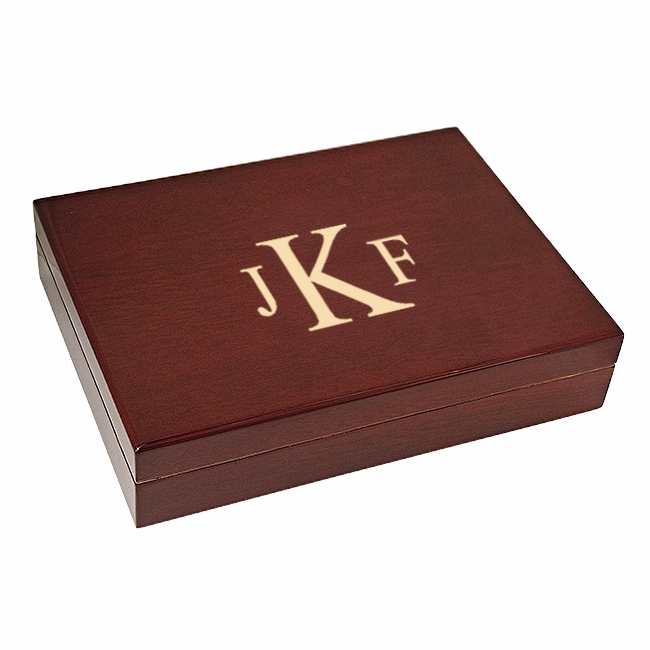 The box has a Spanish cedar lining and tight seal closure that ensures your cigars are safely stored in peak condition! 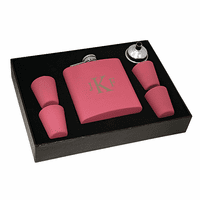 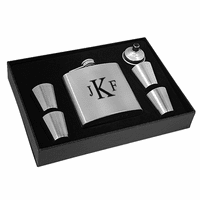 We offer free laser-engraving on the box cover, personalized with a classic Roman font monogram, with large last initial flanked by smaller first and middle initials on either side. 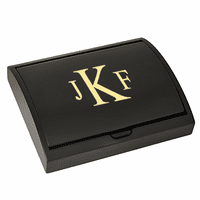 The personalization makes the humidor an elegant home or office accent on a desk, credenza, or shelf! 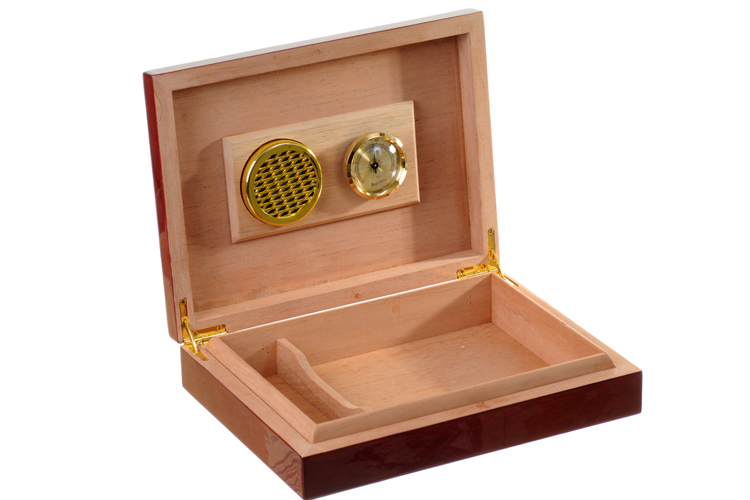 The humidor measures 9.5'x 7.25'x 2' in dimension, so it can easily be packed in the luggage for a business trip or vacation, and keeps your cigars from becoming crushed or dried out in transit! We will ship out the humidor, usually within 24 hours of receiving your order, along with our full Satisfaction and Performance Guarantee!